We’ve made it! 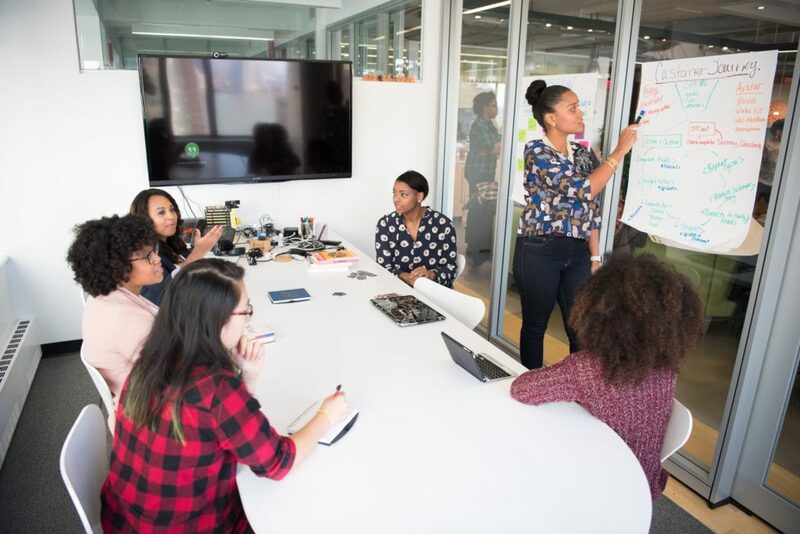 Women in leadership roles are being recognized as one of the top business trends for 2019 and beyond. It is about time! For business leaders, the next challenge comes in addressing this disparity. Companies that wish to grow need to find ways to diversify their leadership teams. By creating a more inclusive and welcoming culture, leaders can foster an environment where everyone can achieve success. The change in how companies view leadership isn’t only about examining their gender mix in positions of power – it is also about recognizing gender bias. CEO Today Magazine addresses the fact that we, as business leaders, need to address the crippling effect that unconscious bias can have on a company’s ability to build a more diverse team. Efforts are undoubtedly being made to hire a more diverse workforce in order to build teams of people with differing backgrounds, skills and opinions, however unconscious bias still operates in companies on a daily basis. The problem is that unconscious bias can reduce diversity, stifle talent and, ultimately, negatively affect the bottom line. Perspectives are dismissed because they are expressed quietly, individuals are overlooked for promotion while noisier and perhaps less competent peers advance, and opportunities to reach a new market are bypassed because their consumers are not perceived to be ideal. It has been said that if a business stands still (i.e. does what they have always done in the past) they will soon be run over. That has never been truer than in today’s fast-paced, technology-led business world. Business leaders need to recognize the fact that their talent pool is getting younger, more tech-savvy, and definitely more socially aware than leaders in the past. No longer will it be acceptable that promotions go to the oldest on the team. This is great news for the highly motivated, younger employee. Small Business Chronicle talks about the changes in seniority and advancement. Businesses aren’t just looking to promote those that have been there the longest, but rather looking to advance those with the best skill set and results. Workers who recognize that the best performers are the ones who get ahead may put forth the extra effort they believe it takes to receive promotions. This is all good news for women in business who desire to advance their career. While we still have a long way to go – the seeds have been planted.